Is using headphones to listen to music kind of selfish? Before you decide to buy headphones made for sleeping, you should put in consideration the main purpose we need them. Remember that we need headphones for sleeping therefore we will need something comfortable, soft and cozy. Headphones that if we put on will take us direct to the dream land. Headphones that will not lead me to waking up every time in the middle of the night to fix it. I hope you understand what we will be going for? So today I saw it best if I shared with you the best sound cancelling headphones for sleeping that will guarantee you a sweet sleep with minimal disturbance from the outside. Without further ado, let’s jump right to the best collection that I have used in the past and those that I recommend. From just its look you can tell that this is among the best sleeping gadgets that most people might like since it is a one size fits most gadget. They are the most comfortable sleeping headphones that you can get in the market by the time of writing this round up post. From the way you put it on to the way it delivers the music sounds into your head. They come in various colours so you will just go for your best pick. The Bose quite comfort 35 is just a revolution in the noise canceling headphones market. This is a simple sleeping gadget that you can use when sleeping in your flights or in a train. They are a lightweight pair of plastic built headphones that are pretty flexible, something that makes them so comfortable to have on. They also have a super soft foam at the top band and a super soft leather ear cushions that goes over your ears. They are a little heavier than other versions because they have a small rechargeable battery in them but you definitely won’t notice that when you just look at it. So wearing this headphones while sleeping in long travels like in a flight is not a problem at all. Since they are wireless, they are other things that you might need to worry about. Those are controls and battery life. Controls are placed on the back of the right ear cap. They consist of the play-pause control, the volume up and down buttons that are also used for skipping tracks. The battery life is always on top of the line. They have a 20 hours active battery life. Every time you turn it on, it will indicate if a Bluetooth device is connected and they also give you the battery percentage of what is left. This is the best noise cancellation headphones for sleep especially when travelling since it is wireless and also has a soft ear cap that fits around your years perfectly hence blocking all the noise. When you going to sleep you want to have the most comfortable environment that will take you straight to the dreamland, right? With the CozyPhones, you are guaranteed exactly that and even more. They have ultra-thin inbuilt speakers and a durable braided cable that will neither tangle nor make you uncomfortable when sleeping. It looks more like a headband, something that makes it cool from the look. Unless you are a techie, you don’t want a sleeping gadget that looks like there’s so much going on and therefore the CozyPhones sleeping headphones might be what you need. The best thing I noticed about this headband headphones is that you can use them to blindfold yourself if and when you want to minimize distraction from a bright object or light generally. That way, you will cancel out noise and light hence have a nice sleep. It has two small speaker placed in the right and left side of the CozyPhones so you can also enjoy your favorite soothing music when sleeping. Another thing about the speakers is that they cancel noise from outside and also prevents those near to hear what you are listening to. The way they fit in your head is also a plus. You get to sleep comfortably even when you turn and roll it still stay put. AGPtEK Bedtime headphones is an ultra-soft and comfortable noise canceling wired sleep headphones that also work as eye masks. So, if you want to sleep in your flight or when in a train you don’t need to worry about noise from outside or any light distractions. You just need to concentrate with your sleep. 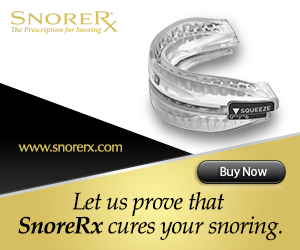 It has a bridge for your nose which guarantees you easy breathing while you are sleeping. While the soothing blindfold keeps all the irritating light out. With all these featers, they still maintain their lightweight abilities on your head. Not heavy to distract your sleep and also not too light to fall off your head. Therefore, if these feature and qualities is what you are looking for in a sleeping gadget then you can go for it and start enjoying your sleep. If you are someone who tosses and turns in their sleep these Hibermate sleep headphones can stand up to the challenge. They also come with air plane adopter to help you get carried away nicely in the air, literally. They feature comfortable memory foam ear pads that makes them soft and inline remote for easy control. If you want to listen to music while you sleep, learn as you sleep by listening to podcasts or audio books or want to just have some time to meditate then this is the perfect sleeping headphones for you. Now that you have gone through all the five options for the best sound cancelling headphones for sleeping it your chance to make the decision. If there is a point I didn’t insist well you can just ask in the comments section below. I know all you need is a perfect sleep and that is what sleeping zones gives to you. I do my best to help you find the best sleeping gadgets, mattresses, organic oils for sleep and even the best tea for sleep. So, grab your cup of coffee and buy a gadget that will make your life better.